I have rarely been so delighted˜or befuddled by a record. Nor have I before had the opportunity to review a pedal steel guitar recording. For readers whose listening habits do not extend beyond the music talked about in these pages, the pedal steel is best known as the slide guitar that offers mawkish commentary on the singer's woes in many a country tune. But guitarist Michael Perlowin is not backing Patsy Cline here. He is instead playing arrangements of classical warhorses, from Copland's Fanfare for the Common Man to the Prelude to the Afternoon of a Faun and the Firebird Suite. It seems to be shirking my reviewing duties to say so, but this release simply has to be heard to be believed.The arrangements are by turns bizarre, spooky, hilarious, and hauntingly beautiful. 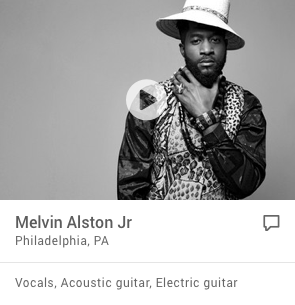 As far as I can tell, Perlowin records all of the arrangements here in multiple tracks, thus allowing him to create a virtual orchestra of steel guitars. He is also joined by a handful of percussionists and a double bassist for some of the tracks, such as Gershwin‚s Prelude 2, which turns into a remarkably convincing, bluesy improvisation. But to call the Prelude to the Afternoon of a Faun convincing is going too far. Or rather, „convincing‰ simply is not the right word. "Surreal" is the word. And unaccountably "right". It is not just that Perlowin plays all of Debussy's notes with stunning accuracy. Rather it's that there is something about the expressive world that he creates that is utterly consistent and compelling. It is not, properly speaking, Debussy's expressive world. I don‚t really know what it is. As I said, this has to be heard to be believed. The best comparison I can think of for this release is Wendy Carlos's extraordinary Moog synthesizer arrangements of Bach and more from the 1960s and 70s. But there is something immeasurably more human and musically nuanced about Perlowin‚s steel guitar work. The range of expression the instrument can produce is simply breathtaking. The result is equal parts kitsch and transcendence. If you're the sort of listener who runs for cover whenever instruments not native to the symphony orchestra are used to perform classical music, start running now. But if you are a musical libertarian, you should read on.Pedal steel guitar virtuoso Michael Perlowin begins this endeavor with the premise that his chosen instrument is misunderstood. He views the steel guitar as being "possibly the most interesting instrument ever invented....Technically, it's completely different from any other instrument and it defies all the rules of physics as to how instruments work." Although the pedal steel is usually identified with country and western music, Perlowin feels it is unduly confined to that genre. He cites limiting the piano to classical music and the saxophone to jazz as being equally ridiculous situations. To counter this misunderstanding, Perlowin features the "versatile" steel guitar on such well known classical works as Aaron Copland's "Fanfare For The Common Man," Claude Debussy's "Prelude to the Afternoon of a Faun," Igor Stravinsky's "Firebird Suite," George Gershwin's "Prelude #2," Bela Bartok's "New Years Song #4," Debussy's "Le Petit Negre" and "The Maid With The Flaxen Hair," Eric Satie's "Gymnopdies #1," a Dimitri Shostakovich polka from "The Golden Age" ballet, and a jazz standard, Charles Mingus's "Good-by Pork Pie Hat. "To realize these works, Perlowin skillfully arranged them and overdubbed a warehouse of string instruments. Pedal steel, Hawaiian (non pedal) steel, five string banjo, fretless electric bass, Guild Ashbory rubber string bass, double bass, mandolin, autoharp, and various acoustic and electric guitars. Most of the percussion was performed live by Perlowin and others. The notable exception to this was the Firebird Suite in which the percussion was sequenced on a computer. Electronic and tape effects were also used. Open your ears though to any of these tracks, and you will be disabused of the idea that the pedal steel should remain solely in country music. When Performed on pedal steel, Copland's "Fanfare for the Common Man" now seems better suited to it's title. The full length "Prelude To The Afternoon of a Faun" is the CD's jaw dropper: The E-bow-- a battery powered, hand held unit that infinitely sustains a string instrument's note with it's pulsating magnetic field-- carries the melodic line and yields a sound reminiscent of the theramin.This CD is a classical kick in the pants. Don't miss it if you want to experience a whole different slant on classical or the steel guitar. One of the most intriguing and original albums to grace my CD deck in many a long month winged its way across the Atlantic in late May. If I say that the music featured includes virtuoso interpretations of 20th century works by Mingus, Copland, Stravinsky, and Gershwin, all utilising the electric pedal steel guitar,you will appreciate that this indeed is something out of the ordinary. The CD in question, 'Firebird Suite' by California's Michael Perlowin, is an adventurous, varied and wholly accessible work, with considerable melodic and harmonic appeal. Additionally, the tracks are quite beautifully engineered with a sparkling clarity which, particularly through headphones, enables the listener to truly grasp Perlowin's first-rate technique, thorough musicality and beautifully deft touch.The pedal steel instrument is, of course, indelibly associated in our minds with post-war American country music, which tends to obscure the fact that a number of enterprising steel players have for decades made their mark in other genres. The less complex electric lap steel is, of course, familiar to all our readers through its widespread use in western swing and hillbilly boogie, and the pedal steel itself has made its presence felt in the jazz field itself on a surprising number of occasions. My own jazz CD collection includes pedal steel contributions on albums by Charlie Hunter, Mitch Watkins and Herb Ellis, and most notably on a number of albums by the seriously swinging Buddy Emmons, whose involvement with Danny Gatton's 'Redneck Jazz Explosion' made for some breathtaking twin guitar jazz.Those with a liking for gospel and spiritual music would do well to check out Arhoolie's series of 'Sacred Steel' CDs, where both lap and pedal steel are deployed by Florida baptist players in the service of the Lord, sometimes to devastating musical effect. On the 'classical' side of the coin, I'm not personally acquainted with too many steel outings (Sasha Matson's suite 'Steel Chords' (Audioquest, 1993) is about the only previous 'serious steel' item on my shelves), but I read that there have been other classical exponents whose work, unfortunately, has gone unsung because of the overwhelming 'Nashville' connotations of the instrument. 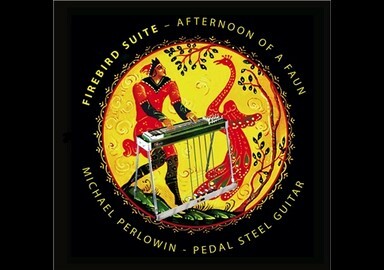 However, Michael Perlowin has set out to turn that situation on its head, and has made his statement in a masterly way with this 'Firebird' project.Perlowin is a veteran of thirty years of playing around Los Angeles as a working guitarist, playing 'every conceivable kind of music ranging from bluegrass to disco'. He became interested in the pedal steel through playing in a country band, and that interest soon developed into something of an obsession. He points out that it is 'possibly the most interesting instrument ever invented, at least from the point of view of the player. Technically, it's completely different . . . and defies all the rules of physics as to how instruments work'.The 'Firebird' album itself contains music of both overwhelming impact and great delicacy. The centrepiece is a 20 minute exposition of Stravinsky's 'Firebird Suite' which ebbs and flows with irresistible attraction, and gives full scope for the originality of Perlowin's vision, the fine detail of his arranging and the technical prowess he has at his command. The fifth section in particular, 'The Infernal Dance Of The Evil King', is dazzling in its rhythmic power, while the subtle, weeping, hypnotic poise of 'Berceuse' leading into the remorsely-escalating multi-faceted interplay of the 'Finale' has you catching your breath as the final chords echo and die at the conclusion. A quite brilliant piece of work .Stravinsky was, of course, no stranger to the world of jazz (Copland likewise), and any jazz enthusiast should find considerable interest in this album; for example, Perlowin occasionally uses clusters of glistening upper-register tones which bring to mind Lenny Breau's inspired use of harmonics. Other familiar ground to jazz ears is found in Mingus' tribute to Pres, 'Goodbye Porkpie Hat', here modified as the programme's closer, in a succinct and nicely understated arrangement. The jazz listener will be on familiar territory too with Gershwin's 'Prelude No 2', which Michael Perlowin reveals in the notes is essayed by him in a style inspired by slide bluesman Fred McDowell (he feels Gershwin was trying to create something derived from the blues when he penned this work). The artist blends both pedal steel and lap steel here, and interestingly to these ears evokes an echo of Ry Cooder more than once. (Interestingly, the guitarist recalls in the sleevenotes how he met McDowell in LA in the mid 60s when the bluesman played a series of California gigs, and wound up driving Fred around and getting some guitar lessons from him too).Other composers exposed to Michael Perlowin's perceptive gaze here include Debussy, Bartok and Satie (an especial delight). 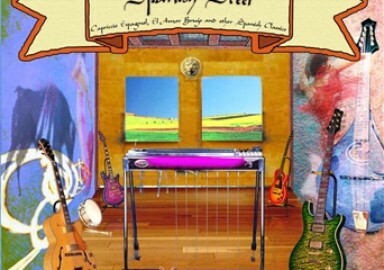 The artist says that he put this project together "to show how beautiful and expressive the pedal steel guitar can be". He has certainly succeeded in his aim, and in so doing has introduced a wider audience to his own exceptional talents too. Regular readers of these pages may recall that a couple of years back I showered praise on 'Firebird Suite', the debut CD album by Los Angeles-based guitarist Michael Perlowin, who had achieved what few artists manage: he had created not only a completely original and distinctive work of art, but by taking a bunch of classical themes leavened with one or two jazz themes, and centring his arrangements round the unique voice of his pedal steel guitar, had effectively created a personal musical genre into the bargain. And now the man is back, with a totally different venture for the pedal steel, but once more an absorbing, innovative and rewarding suite of music, invested with considerable intelligence and a quite "different" take on what music-making is all about. On this occasion Michael has turned his attention to Leonard Bernstein's 'West Side Story' music, including not only the popular songs from the show, but also Bernstein's Symphonic Dances. Perlowin carefully analysed the score for the Broadway show, the film music, the operatic version, and several previous guitar-based interpretations, and says he learned from them all, but at the end of the day he again comes up with something entirely personal and fresh. Perlowin's versatile musicianship is given full rein over no less than nineteen tracks of Bernstein's celebrated melodies, during the course of which he effectively deploys not only pedal and lap steel guitars, but an impressive variety of electric basses, non-steel guitars, and other string instruments. My own favourite moments include both 'One Hand One Heart' and 'Maria', two love themes where the distinctive yearning pitch-shifts work beautifully; a lovely loping 'America', with the various steel parts conversing, and two great, swinging jazz-inflected numbers 'Cool', which is just that, and 'Jump', which certainly does. Some great interplay between the steel lines and Dave Beyer's drums on these two. But really there are numerous detailed pleasures on this fine work, which sometimes reveal themselves more fully only on subsequent hearings. 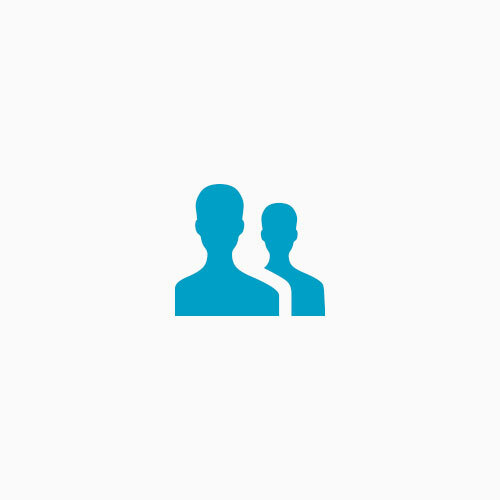 music-lover with functioning ears who wants to hear something that little bit out of the rut. This CD came to me from one of the readers of LewRockwell.com. When he first wrote to me and told me he played the pedal steel guitar I was, well, unimpressed. He asked if he could send the CD to me and, me being an extremely nice guy, I said, "Okay." I get over one hundred CDs sent to me every month from various record companies here in Japan. And I'm not exaggerating when I say that 99.9% of them are junk (I usually keep the CD boxes and throw the CDs away). So when Mike's CD arrived in the mail, I sighed and thought, "Oh well, he went through all the trouble sending it to me, might as well listen to it once..."
And what a surprise I got! This CD is great! Mike does something very special with the Leonard Bernstein and Stephen Sondheim musical, "West Side Story." You have never heard pedal steel guitar like this! You have never heard the "West Side Story" like this either! The entire album just flows. I was chuckling and singing along to every tune on the CD. In fact, I haven't been able to get that "Jet Song" outta my head for these last two weeks. What a find this CD is! A true diamond in the rough. And it's not just me who thinks this is a fantastic piece of musical artistry! Mike has gotten some rave reviews for this CD and has even wrangled his way into having Tower Records independently carry this item! Now I know just how hard it is to get a store like Tower Records to carry an independent item. But the Tower folks can recognize a masterpiece when they hear one – They should; they're professionals! I just can't say enough about Mike Perlowin's "West Side Story." Buy this CD now and be the first on your block to find what just might be the best CD this year! Let me start off by saying that I pride myself in the enjoyment of a wide spectrum of different musical genres, but sadly, I absolutely CANNOT bring myself to Country. What can I say, I just don't like it. Too whiney for me. Having admittedly said this, you should understand why I had never before seen or even heard of a pedal steel guitar. If you haven't seen one of these insane musical contraptions, I can only describe it as what looks like the neck of a guitar (only a little wider), laid horizontally and hooked up to an array of complex foot pedals and knee levers. Playing this unusual instrument requires lots of skill, the use of both hands, both feet and both knees. Talk about cardiovascular! From what I've read about the pedal steel guitar, the instrument has pretty much been confined to the purgatory of Country and Western music. Which seems unfair since it could absolutely be put to use in a variety of different musical acts and styles. The pedal steel guitar has this eerie, wavering tone that reminds me of a Theremin (an old electric instrument that uses two antennas to control the pitch and volume without the use of physical touch). How very Ed Wood! Now lets change paces, shall we? When I was a young girl, I can remember watching West Side Story with utter amazement and wanting to be "Pretty" like Natalie Wood. All of the beautifully orchestrated music seemed to flow out of the speakers and seep right into me. It's now been more than ten years since I've seen the movie but the music will always be a part of me and a part of American culture. West Side Story was composed by the late, great Leonard Bernstein in 1957 (to be performed on Broadway) and was later made into a film (in 1961). It has been described as not only his greatest work but is also regarded as one of the masterpieces of the 20th century. Now, I know that you're all thinking, "What does the pedal steel guitar and West Side Story have to do with each other?" Well, a month or two ago I received a CD for review from a local reader/musician from Glassell Park, named Michael Perlowin and what he has done is nothing short of mind blowing! Michael Perlowin has spent the last few years painstakingly transcribing the ENTIRE score of West Side Story to be played on pedal steel guitar. 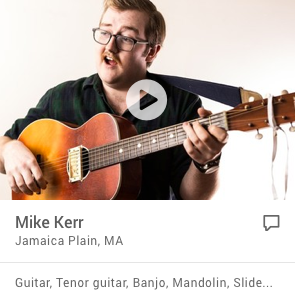 Michael also incorporates a small menagerie of stringed instruments such as the Hawaiian (non-pedal) steel guitar, electric six and twelve string guitars, acoustic steel and nylon string guitars, fretted and fretless electric basses, five and six string banjos, mandolin and autoharp. Perlowin's CD also showcases the talents of Dave Beyer on drums, Chris Stevens on xylophone/percussion, Bill Watkins on percussion, Jimmy Horowitz on piano and Leslie Baker on bowed bass. You really have to hear it to believe it. The CD includes all the favorites from the show ("Maria", "I Feel Pretty," "America," etc. ), as well as Bernstein's symphonic dances. All of these songs being recognizable, yet just a little out of the ordinary. There are no vocals on this CD, only instrumentals, but singing along to the music is half the fun. This isn't your normal rehashed rendition of West Side Story. No matter how much you love the score or how many times you've seen the show, you've never heard it played quite like this.Michael Perlowin definitely has a dream (and is quite possibly living that dream now). He has adopted the pedal steel guitar and is hell bent on delivering it from the mire of the Country Western scene. After listening to this album, I found myself wondering why an instrument should be exiled to a certain genre or barred from other genres? A question that Michael Perlowin found himself pondering, years and years ago. He then set out to break the mold surrounding the use of the pedal steel guitar. Bravo! Michael Perlowin's West Side Story CD is available for purchase on his web site (www.mikeperlowin.com) , as well as his other critically acclaimed CD, "Firebird Suite" (which features works by Stravinsky, Debussy, Bartok, Shostakovich and others, all played on the pedal steel guitar). Michael Perlowin has also written a book entitled "Music Theory In The Real World, A Practical Guide For Today's Musicians" that is also available on his web site. Give Michael Perlowin and his amazing pedal steel guitar a try, he may just win you over! Stravinsky: Firebird Suite and Classics by Debussy, Copland, Gershwin, Bartok, Shostakovich, Satie and Mingus" Michael Perlowin, pedal steel guitar, with Dave Beyer, Leslie Baker, Bill Watkins, And Barry C Schneider. To Mike Perlowin, the pedal steel guitar isn't so much a musical instrument as an almost religious obsession, and he is more an apostle than a mere virtuoso. Perlowin's objective is to lift the pedal steel guitar out of the country music by producing convincing arrangements of classical and jazz favorites. His Newport Classic CD provides some hair raising results. Let us note that this is not an "uglification" of classical favorites a la Emerson, Lake, and Palmer. Perlowin's objective isn't to drag Stravinsky, Debussy et al into the country music scene, but rather to place his instrument into the service of serious music. While some may object to arrangements of existing pieces, Perlowin would point out that 1) a body of serious music for the pedal steel guitar does not currently exist, and 2) presenting familiar 20th century classics is a fair test for the expressiveness and tonal qualities he believes the instrument possesses. I found the album to be fresh, convincing and a lot of fun. The Centerpiece, Stravinsky's Firebird Suite," is full of verve and life, as Perlowin and his associates use a variety of drums, percussion, and various electric and acoustic guitars to produce a version that intimates an orchestra of Balalaikas--a not inappropriate tonal analogue. This us an exciting and furious take and "The Firebird" really flies. Likewise, Perlowin's Shostakovich "Polka" captures the wit and uproarious humor of the piece, full of off kilter rhythms and abrupt gear changes. Featuring music composed by the late, great Leonard Bernstein, West Side Story is one of the most successful musical productions of the 20th Century. Now in 2004, L.A.-based pedal steel guitarist Mike Perlowin has adapted Bernstein’s timeless music as an instrumental opus arranged for pedal steel guitar. Assisted by Dave Beyer (drums) and other fine players, Perlowin’s musical masterpiece should find a home with steel guitar aficionados and just about anyone who ever enjoyed West Side Story. Perlowin’s guitar craft spans his expertise on pedal and Hawaiian steel guitars, electric 6 and 12 string guitars, acoustic steel and nylon string guitars, fretted and fretless basses, five and six string banjos, mandolin and auto-harp. Perlowin’s 19 track adaptation of West Side Story features those popular songs from the Broadway show, as well as other Bernstein pieces from the film and operatic version. One critic claimed that Perlowin’s CD would make great listening for those who appreciate greats like Pat Metheny, Bela Fleck and Bill Frisell, yet Mike’s steel magic transcends category and genre, clearly making it a modern day American music classic. The CD is topped off by eye-catching cover artwork and fitting liner notes. Perlowin’s other solo CD—Stravinsky: Firebird Suite—is yet another set filled with his brilliant steel guitar expertise. Robert Silverstein. I have recorded 3 CDs of classical music performed primarily on a pedal steel guitar. The first, entitled "Firebird Suite" is a program of music by Stravinsly, Debussy, Bartok, Shostakovich, Satie, Gershwin, Copland, and for good measure, a tune by Charles Mingus. The second is my interpretation of the soundtrack to West Side Story. The third, which was just released, is called "Spanish Steel" and as the name implies, is a program of music from Spain, with a strong flamenco influence. The major piece in includes are "El Amor Brujo" by Manuel de Falla, and Nikolai Rimsky-Korsakov's "Capriccio Espagnol." Michael Perlowin started playing the guitar at the age of 13, after hearing the Kingston Trio’s recording of “Tom Dooley.” Originally intending to be a folk singer, Michael soon discovered that his talents as a guitarist far outweighed his abilities as a singer. It was not long before others made that same discovery, and, by age 16, Michael was working as an accompanist in the Los Angeles folk music circuit of the early ’60s. The decade wore on and Michael, like many folk musicians, went electric, playing lead guitar in local rock bands. In 1969, Michael got married and settled down to working in a music store, teaching music and selling instruments. His dreams of becoming a rock star had faded, but in 1975, his life took an unexpected turn. By virtue of being in the right place at the right time, Michael was offered the lead guitar slot on a working Country and Western band. Michael knew absolutely nothing about country music when he was offered the job, but being experienced in the art of backing up vocalists in other genres, he quickly adapted his skills as an accompanist to the new genre. When the band broke up, as bands do, Michael started freelancing around L.A. as a lead guitarist on the suburban C&W scene. It wasn’t long before he became captivated by the pedal steel guitar. In 1979, Michael began studying this complicated instrument, leading to a pleasant obsession that continues to this day. Within 6 months of beginning to play, Michael was working as a steel guitarist. The Urban Cowboy craze of the early ’80s proved to be very fertile ground for steel guitarists. There were more jobs than players, and Michael worked hard for the next couple of years. But the craze also marked the death of the local C&W scene where Michael had honed his skills on the steel. As the auto plants closed up shop, the blue collar workers who had frequented the C&W bars moved away. Clubs were shuttered, and gigs became harder to find. Simultaneously, Michael had tired of playing the same songs night after night, and was searching for something different. 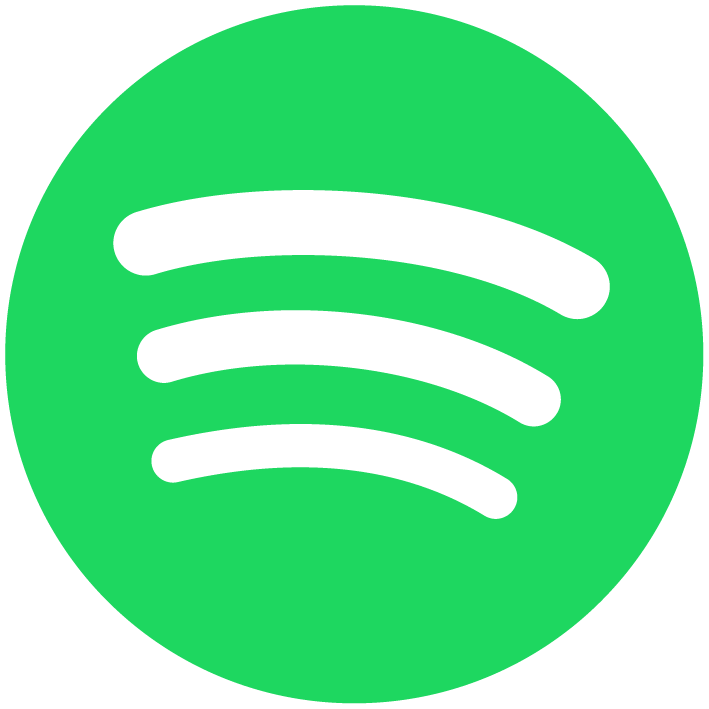 That “something different” turned out to be classical music. After hearing a recording of Debussy’s “The Maid With The Flaxen Hair” by jazz guitarist Johnny Smith, Michael realized his passion to transcribe and play classical music on the pedal steel guitar. Michael built a home studio, learned how to record music, and dove into years of exploring and perfecting a wide range of classical songs on the steel. His first album, Firebird Suite, is a collection of works by Debussy, Stravinsky, Bartok, Shostakovich, Gershwin, Satie and Copland. His second album is an interpretation of the score of West Side Story, which he recorded in its entirety. The third, Spanish Steel, features music from or about Spain, including Manuel de Falla’s “El Amor Brujo” and Nikolai Rimsky-Korsakov’s “Capriccio Espagnol,” as well as some less well-known pieces. Michael’s dream is to introduce this beautiful and expressive instrument to the world of classical music, where it is still relatively unknown. It is his goal to become the very first pedal steel guitar concert artist. To that end, he enjoyed making a recent guest appearance with his steel guitar, accompanying two concert artists during their solo performances in the Los Angeles area. My repertoire includes selections from each of the 3 CDs as well as a few pieces I've not recorded. 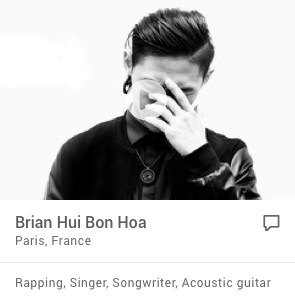 I have about 80 minutes of music I can perform.